"On the occasion of the 22 December 1870 eclipse … two intelligent and reasonable nations were torturing each other … in the past this international slaughter would have been linked to the eclipse occurring at the end of the cursed year, or the aurorae concurrently appearing in the sky; nowadays everyone realizes that it was simply attributable to human beastliness"
In the early 19th Century the studies on spectral lines by Joseph von Fraunhofer and Gustav Kirchhoff led to “the joining of physics and chemistry into astronomy ... as the essential result of a more general approach”, thus determining the birth of astrophysics. The application of two new techniques, such as photography and spectroscopy, to astronomical observations of total solar eclipses contributed greatly to further the development of solar physics. In 1851 astronomers obtained the first photographic image of the total phase of a solar eclipse showing that the corona was part of the solar atmosphere rather than the Moon’s one. 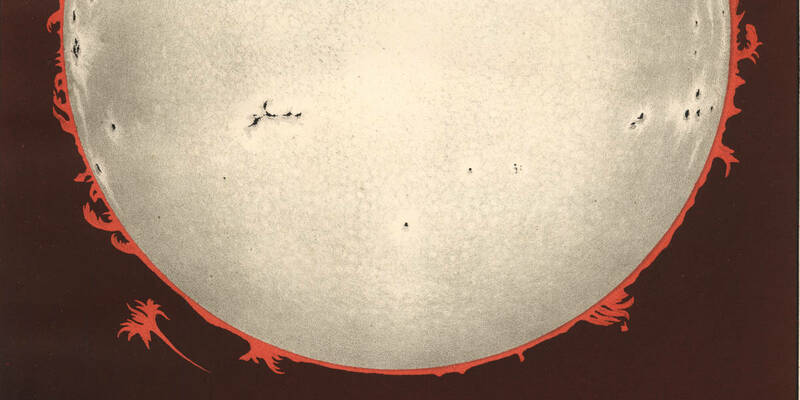 Thanks to the use of the spectroscope, in 1868 astronomers observed hydrogen lines in the spectrum of solar prominences and found the presence of a yellow line that later was to be associated to a new chemical element, Helium. After the first studies on the stellar classification by Giovanni Battista Donati and Angelo Secchi, Italian astronomers wishing to get involved in this field, did not miss the opportunity represented by the total solar eclipse of December 22 1870, whose area of totality would have covered eastern Sicily. A scientific commission was set up and formed by the directors of Naples, Milan, Florence, Palermo, and Padua Observatories. The astronomer from Rome Angelo Secchi, joined the commission, being “the only one able to compete with foreigners in terms of spectroscopy”. In September 1869, the Commission met up in Florence to define the sites and programs for the observations. The observational stations were placed in the old convent of the Capuchins close to Terranova (now Gela), and on the terraces of the Augusta castle. The scientific program focused on the spectroscopic studies of chromosphere, corona and solar prominences. Having set up two stations, it was possible to host other scientists who collaborated in the astronomical, meteorological and magnetic observations. To move to Sicily instruments and astronomers, the Italian Royal Navy placed a steamer already used in the Expedition of the Thousand, Plebiscito, at the Commission's disposal. The "senators" of Italian astronomy were located at the Augusta station, undoubtedly more comfortable than the Terranova site, which was reserved to younger astronomers and their assistants. Between its arrival and the start of the eclipse, the large group of Italian scientists had the opportunity to work together - for the first time in the history of the unified country - and acquire new skills in astronomical spectroscopy, a field of which little was known to the majority of Italian astronomers. Following the results of this scientific expedition, on October 5 1871, the main actors involved founded Società Italiana degli Spettroscopisti, the first scientific organization in the world devoted to "physical astronomy". The reports written by the astronomers based on the results of their observations were published in 1872 in a volume that gained wide appreciation also in the international scientific circles. “Rapporti” was presented to many Italian and international politicians and intellectuals, including Giuseppe Garibaldi. 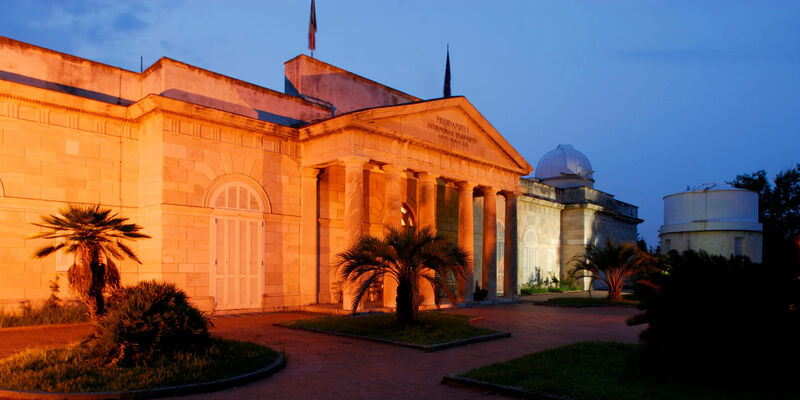 In the effort to compete with foreign astronomers, the main actors of the expedition soon managed to implement high-quality research programs that led Italy to stand out in astrophysical studies until the end of the 19 th Century, favouring the establishment of Catania Royal Observatory, the first astrophysical observatory in Italy, and the institution at Catania University of an academic chair in astrophysics, the first one in the world.